This book is a reissue of the third and last edition of a classic text providing the reader with a comprehensive account at first degree or introductory graduate level of the principles and experimental aspects of electricity and magnetism, together with an elementary account of the underlying atomic theory. The book is available in a two-volume format. 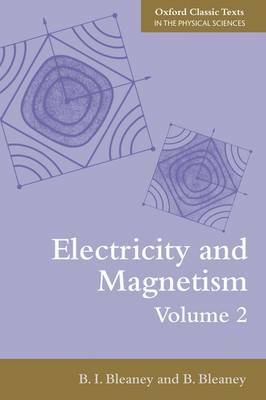 This second volume includes coverage of electrical and magnetic properties of matter, dielectrics, conduction in metals, magnetic materials, semiconductors and their applications in electronics, superconductors, electronic devices and circuits, magnetic resonance. SI units are used throughout and there are problems at the end of each chapter.